Meet Scott. Director. Tech tragic. Cyclist. Problem solver. Scott Sanders manages the business with a steady hand and a ready smile. Our director of technology loves his bikes and it’s a cold day in Perth when Scott doesn’t leave his Mt Hawthorn home before dawn and head out to grind out the kms on his latest 'Spesh'. Scott Sanders is the other co-founder of The Cut. Born in Birmingham UK, and brought up in Perth, Western Australia where he started his career as a Graphic Designer. Scott has been a cycling and graphic design tragic since he first started tagging the back alleys of Gooseberry Hill and blasting about on anything with two wheels. Scott was raised on the hills above Perth and returns regularly to take on the twists and turns of the forested country roads. In his younger days, the wider world was calling and Scott made his way to London and Europe to follow a combination of cycling, design and technology ambitions. Scott has a great technical brain and is an experienced problem solver. He's a DIY king and can build anything from a home to an MG. You can see these skills when he works with our clients on complex software and ecommerce projects. He understands the challenges quickly and cuts to the chase to help clients understand the reasons and the benefits of the best digital solutions for their business objectives. With a natural aptitude for technical problem solving and a passion for digital technologies, Scott drives The Cut’s technology team from the top. He is intensely focused on the task ahead, whether that is a 100km road race, Shopify ecommerce payment gateways, information architecture for a new website, or scoping a new application project. 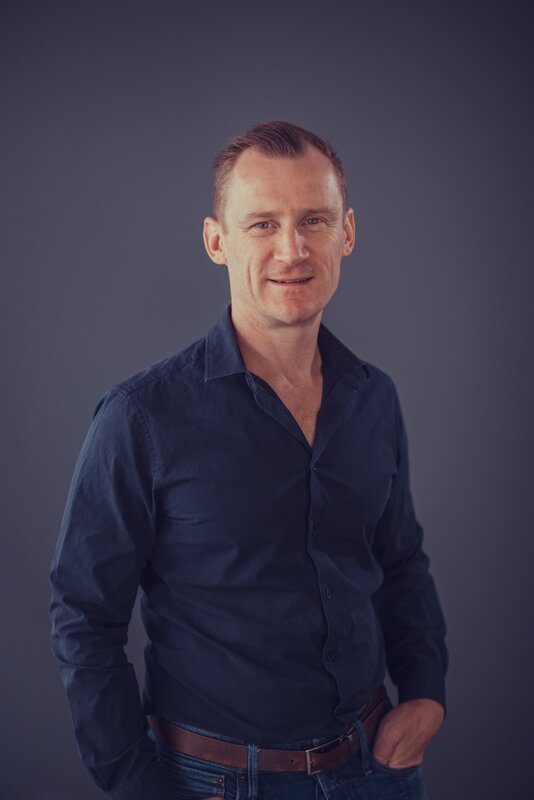 If the requirement is technical and brings unique challenges, Scott is fantastic at investigating the options and framing up the best solutions, before handing over to The Cut's team of talented Developers and Digital Designers. Scott works with our clients and team to develop solution frameworks for complex projects, and investigate the best ways to meet business objectives. As technical Director, Scott works closely with our Digital Project Manager and lead developers to guide the design of the features and functionality each project requires. In our internationally experienced team, Scott’s 10 years in London running his own digital and design agency make him a huge asset to The Cut and the clients who we develop Shopify ecommerce and software applications for. It was in London, as the internet and dot com booms were in full flight that Scott got in on the ground floor and built the foundations of the technical understanding he has today. Scott gets code, he understands big data and the challenges and benefits it can bring, and he enjoys nothing more than working with business owners and company directors to help them gain maximum value from technology. To the people who are our clients, Scott brings his international experience working with big brands on large scale projects, plus his own natural aptitude for technical problem solving to add great value. These core abilities combine with Scott's excellent understanding of digital interface design, information architecture and user experience to create a well rounded and experienced technical professional. In his ‘other life’, Scott is married to Kerry and they live with son Magne and daughter Emelia in Mt Hawthorn. Scott is still a passionate cyclist, riding most days and often racing on the weekends. He also enjoys ‘projects’ including rebuilding two MGs and a Triumph motorbike. Off the bike and the Mac, Scotty loves a dirty joke and a cold one with plenty of flavour from a good micro brewery. Scott and I started The Cut in 2009 and 2019 is our tenth year. The reason our partnership works is because we have different approaches and complimentary skills. Scott is awesome in the technical space and understands software and application development. He has driven our specialisation and up-skilling in Shopify ecommerce. My focus is on branding, communications, content and engagement. Together, we make a beautiful business couple. Our directors are the best people to speak with about your specific software requirements, technology challenges & the best solutions.